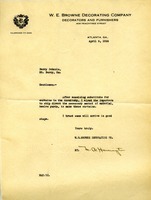 Martha Berry sends her sincere thanks to Mrs. Howells. 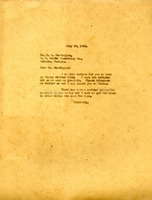 In this letter Martha Berry tells Mr. Harrington that she is anxious for him to come help put up the curtains. 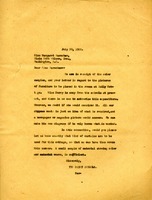 Letter from M.A. 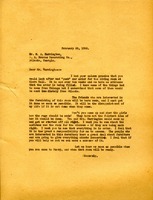 Harrington, of W.E. Browne Decorating Company, to Berry Schools regarding fabric for dormitory curtains. curtains, fabric, W.E. Browne Decorating Co.